Data relating to the outcome of pregnancy were gathered prospectively on patients with elevations of maternal serum alpha-fetoprotein (MSAFP) or with unusually low MSAFP levels unexplained by ultrasonography or amniocentesis. Patients with unexplained MSAFP elevations (2.5 or more multiples of the median, amniotic fluid AFP normal) exhibited a significantly increased incidence of fetal loss, low birth weight, neonatal death, and fetal congenital anomalies compared with controls with normal MSAFP. Twenty-one of 338 women with unexplained MSAFP elevations delivered a fetus or infant with at least one congenital anomaly. 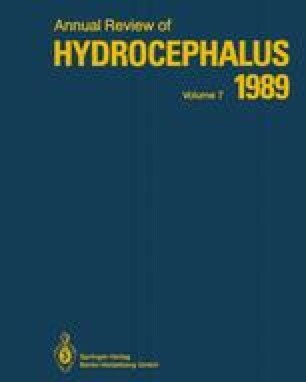 The twenty-one cases included six with hydrocephalus (five aqueductal stenosis and one neuroectodermal tumor with secondary obstruction) and one with the Dandy-Walker malformation. Patients with unexplained low levels of MSAFP (less than or equal to 0.25 MOM) had a significantly greater risk of fetal loss than controls, but there was no increase in the incidence of low birth weight, neonatal deaths or congenital anomalies.